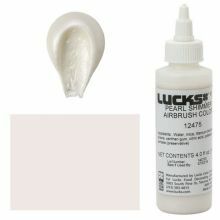 Premium Shimmer Airbrush Colors are specifically formulated for bakeries by food color experts. Designed to deliver sparkle and shimmer to your cakes with ease. FDA-approved for food use. Manufactured in the USA. 4 fl oz.